18+. Only one bonus per household, computer or IP address. Free spins on the Age of the Gods slots will be playable within 7 days. E-Wallets excluded from the welcome offer. Prepaid cards excluded too. Casino bonus must be wagered 30x before being able to withdraw any winnings. Vegas free spins must be wagered 50x before the winnings can be withdrawn. All bonuses will expire 7 days after being issued. Full T&C’s apply – Gamble Responsibly – begambleaware.org. Only one bonus per household, computer or IP address. Free spins on the Age of the Gods slots will be playable within 7 days. E-Wallets excluded from the welcome offer. Casino bonus must be wagered 30x before being able to withdraw any winnings. 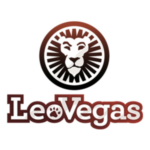 Vegas free spins must be wagered 50x before the winnings can be withdrawn. All bonuses will expire 7 days after being issued. NetBet Bonus Code – £50 Free Bet for New Customers! Your search for a NetBet bonus code has ended, we’ve got them all listed right here for you, so don’t go anywhere. 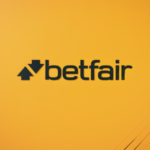 We’ll outline the best betting promotions this online betting site has to offer as well as all the key information surrounding all things away from the bonus codes. How good is their customer support? What payment methods does NetBet accept? What other products do they offer? Read on to find out. There’s a cracking new customer welcome bonus at NetBet when you register for a new account. There’s no promo code to remember either, which makes it impossible to miss out on the offer. Once you’ve successfully registered, all you need to do is place a bet at odds of 1/2 or higher on any sports event. It doesn’t matter if your bet wins or loses, you’ll get a free bet up to the value of £50. NetBet Bonus Code – How Do I Take Advantage of This Welcome Offer? NetBet Bonus Code – What are The Key Terms and Conditions? Does NetBet Offer a No Deposit Bonus Code? No is the answer. 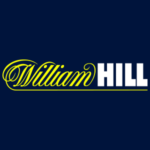 There isn’t a no deposit bonus code available at the moment, but, as with every online betting site, new promotions are always being introduced, so please do check back regularly as NetBet may have one in the future. We’re always keeping our pages up to date, so if an online betting site offers a new promo code, we’ll have it here. 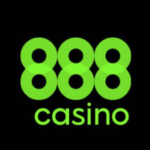 Are There Any NetBet Bonus Codes for Existing Customers? There aren’t any promo codes at the time of writing, but there may be some in the coming weeks and months. As always, keep checking to see if any new promos have been introduced. Although there are no bonus codes available at NetBet currently, that’s not to say there aren’t any promotions at all for an avid sports bettor. What Promotions Are Available for Existing NetBet Sports Betting Customers? There aren’t too many promotions on the go for existing NetBet customers. 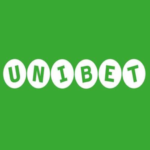 Prize Pool – Simply place an outright bet of at least £10 on each of the six biggest European competitions to be in with a chance of winning £50,000. The six competitions are the English Premier League, Spanish La Liga, Italian Serie A, German Bundesliga, UEFA Champions League and UEFA Europa League. If you manage to get all six correct, the £50,000 prize will be yours, split with anyone else who got them all correct. This could well turn into a yearly promotion if it’s a success. 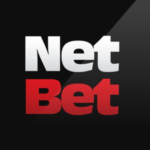 NetBet Boosts – Available on desktop and mobile, NetBet will boost prices on selected markets throughout the football season, so keep an eye on the boosted markets when choosing your bet. Add2Bet – A fairly new feature for new and existing customers to enjoy. If you’ve already got a bet open but fancied a double or a treble instead, NetBet allows you to add new bets to existing ones. If you place a new bet and want to add it to an existing single for example, as long as that bet hasn’t started and is available for cash out, you can turn it into a double. It’s a pretty unique promotion, but you’d expect other sports betting sites to follow suit in the future. 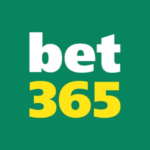 Trustly Free Bet – If you use Trustly, you can get a £5 free bet from NetBet by simply depositing a minimum of £5 using Trustly on your NetBet account. You just have to place a £5 single bet on any market at odds of 1/2 or more and hey presto, a free bet will land in your account. NetBet Casino – Are There Any NetBet Bonus Codes Available? There’s a fantastic new customer offer for anyone interested in NetBet casino or slots. Using the Netbet bonus code NBWELCOME, new customers can get up to £200 as a welcome bonus plus 10 free spins to use on Vegas. What’s even better is that it doesn’t matter if you’ve already used the NetBet sports betting promo code! Result. This welcome bonus can be used on your very first casino deposit. Sign up and/or log in to your NetBet account. What are the Key Terms of the NetBet Casino Welcome Bonus? NetBet Poker Promo Codes – What’s on Offer? You’re in luck if Poker is your cup of tea as NetBet have another great welcome bonus up their sleeve. First, you must download a separate piece of software on your desktop to enjoy the NetBet poker product. If you use your mobile for betting, download their innovative poker app. Once you’ve done that and successfully registered and logged in, enter the Netbet bonus code FREE20 when making your very first deposit for a treat; £15 free cash! You may have spotted that it’s £15 free cash when you’re entering FREE20. That’ll be the currency conversion from 20 Euros, so it is the right code you’re entering here. Make sure you enter code FREE20 on your first deposit, as the system will detect if it’s not your first deposit and will decline the bonus code. Please note that if you withdraw any funds before the first seven days have passed, you won’t be able to receive the second part of the welcome bonus. Do you want even better news? Of course you do. Well, not only are NetBet giving you £15 for absolutely nothing, you’ll also get a 200% bonus up to £1,000 as well as exclusive entry into their freeroll tournaments. All you need to do is make a deposit. Your first deposit will be the one that counts, so if you bet big, deposit high initially to receive the bigger bonus. What are the Key Terms of the NetBet Poker Welcome Bonus? As always, there are a few to consider, but this promotion is pretty unique. You must turn your bonus money into points to then convert into real cash. Make no sense whatsoever? Ok, let’s explain. When you reach 100 points, you’ll release the first €2 bonus. Every time you collect 135 points after that you’ll get another €2 bonus until you hit a maximum of €10. That leaves you with €1490 to earn in bonuses, which you’ll get €2 of each and every time you hit a further 200 points. If you play Poker regularly, you’ll reach the maximum bonus amount in no time. NetBet, although relatively new in terms of being a big online betting site, has been around since 2001 and they hold licenses in Malta and the United Kingdom under the UKGC. In the past they’ve been heavily involved in football, sponsoring the likes of West Bromwich Alboin, St Etienne, Nice, Hamilton Academical and Steaua Bucharest, so you can rest assured that these guys are safe and secure. They also take care of you. If ever you have a problem, NetBet will sort everything out via their dedicated customer service team, whether it’s a query with a certain market or if you’re struggling with your betting. While we’re on that subject, please do fee lfree to check out our responsible gambling page for more advice and links to organisations that can help. They really do cater for everyone’s betting needs too, so feel free to switch from sports betting to their online casino. If that doesn’t float your boat too much, check their poker product as well as NetBet Vegas slots and games; there really is something for everyone. NetBet Sports Betting – What Can I Bet On? As a growing force in the UK, it’s good to see so many payment methods available for UK customers. You’ve got your usual debit cards and credit cards, but you’ve also got Bitcoin by Neteller and Trustly on the list, not to mention the leading e-wallets. PayPal is available, which is great. The withdrawal timeframe is decent too, but one thing you need to keep in mind with PayPal and other e-wallets is that they’re not always included in promotions. They’re tucked away in the T&Cs as being excluded, so don’t get caught out there. NetBet Mobile Betting – Are There Any NetBet Mobile Promo Codes? There are some great promotions at NetBet and it’d be disappointing not to see a mobile promotion. You’ll be pleased to know they don’t disappoint. There’s no NetBet bonus code to enter, you just simply need to log into your account and opt-in on your mobile using the opt-in button. Once you’ve got that far, place a minimum bet of £10 on your mobile on any sports betting market at odds of 3/5 (1.60) or more. Once the bet settles, you’ll get a £10 free bet added to your account. It’s probably best to bet on something that’ll be ended soonish. You don’t want to bet on the Premier League outright market for example as you may be waiting months before your £10 is credited. 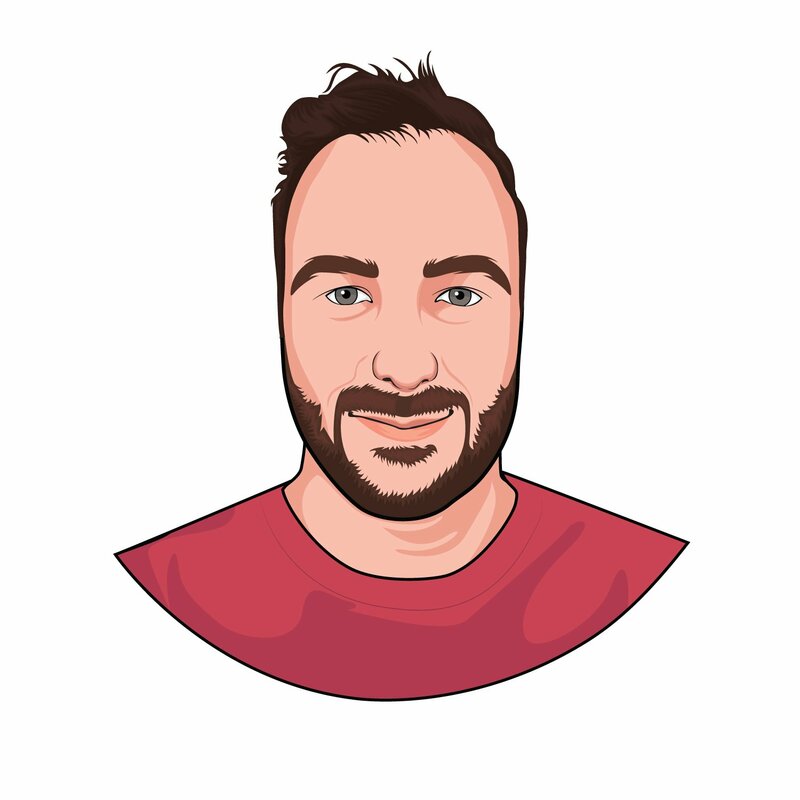 Assuming you’re already an avid bettor, you’ll know how important it is that you can get in touch with a customer service team and get a problem resolved or a question answered quickly and efficiently. It’s always important to know where to turn if you’ve got a promo code query as the manual nature of using them opens up room for human error. NetBet has some good options if you ever need customer support from them, but they’ve not quite branched out to 24/7 support. Yet. How Can I Get in Touch with NetBet Customer Support? NetBet Live Chat – The most popular option for many customers. NetBet is available from 09:00 until 23:00 UK time if you need to get in touch with them about anything. FAQs – They don’t call it FAQs, but it’s sort of the same thing. They have their own ‘Help Center’ where you can search for anything you wish, and it’ll pop up with the most relevant topic and answer. It can be a little fiddly to get the hang of, so take some time to get accustomed to it before simply giving up at the first hurdle. Email – There’s no direct email address for customers, but if you go to their help section, you can type out you query using a contact form on their site. Expect to get a response within 24 hours, although allow 48-72 hours at busy periods. Phone – Netbet’s customer service team are available from 12:00 until 20:00 UK time to help you out. +44 (0)20 3608 6024 is the number you need. Social Media – NetBet have numerous Twitter handles for their different products, but @netbet is their main account. Feel free to get in touch with them via Twitter, but don’t expect a quick response as they’ll be focussing more on content. NetBet Sportsbook Promo Code. Tick. NetBet Casino Bonus Code. Tick. NetBet Poker Welcome Bonus. Tick. NetBet remains on an upward curve when it comes to building their online presence in the UK, and with the promotions on offer, they can really count themselves among the best online betting sites in the UK. The fact you can take advantage of all three welcome bonuses separately will make every new customer very happy, and there’s much, much more for you to enjoy as an existing customer once the welcome offers have been snapped up. Does NetBet have a New Customer Bonus Code? Yes. There’s a NetBet bonus code to be had via their sportsbook, their online casino and their poker product. Full terms and conditions apply for each one as mentioned above, but the codes you need are NBWELCOME for their online casino and FREE20 for the poker welcome bonus. 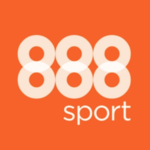 There’s no Netbet bonus code for their sportsbook promotion, so you can get stuck into that without the need to remembering to enter anything. In a word, no. However, keep checking back regularly as promotions change all the time. They’ve had one in the past and they’ll no doubt introduce a new one at some point in the future, so keep your eyes peeled. Does NetBet accept PayPal as a Payment Method? Yes. All top online betting sites will have PayPal as an option and NetBet are no different. What’s great with NetBet is that they offer many different payment methods to their customers, so you’ll never have any issues finding a way to get money in and out of your betting account. Please remember to check the key terms of each promotion, though, as some payment methods will be excluded. E-wallets are a prime example.